We are going to get a couple more inches of snow today then warm temps the rest of the week. Chris and I will be trying to attempt to divert the water from coming into the barn. I do have mini meltdowns every time that happens. This summer he and I will come up with a plan that I hope will prevent that. 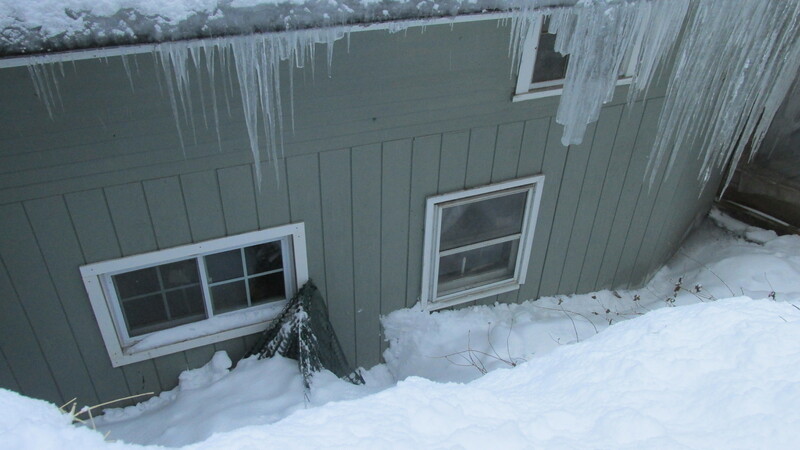 THE AREA CHRIS HAD TO CLEAR TO FIND THE DRYER VENT. 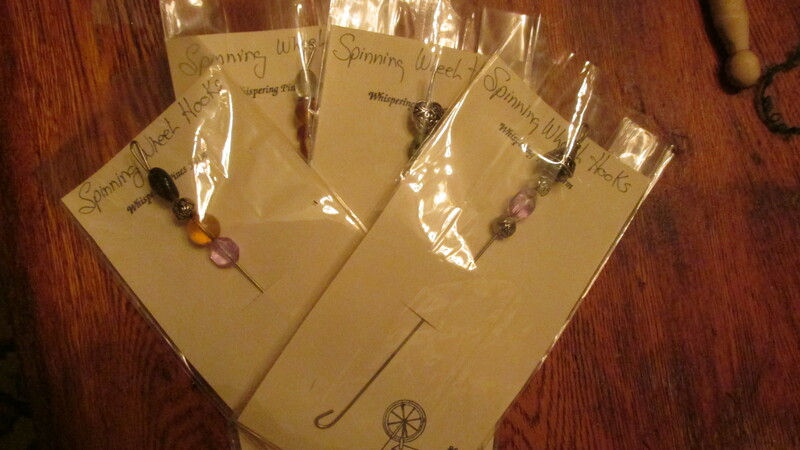 Yesterday I finished the spinning wheel hooks and packaged them. It was really quite interesting that while making them I glued two fingers on each hand together. I have used this glue many times (jewelry glue) and this never happened. Nail polish remover from my son’s help did the trick .It was a funny situation to be in. Made me appreciate my fingers!!!!!! For those of you who don’t know about fleece lined mittens, they are a mitten with fleece knitted in them. 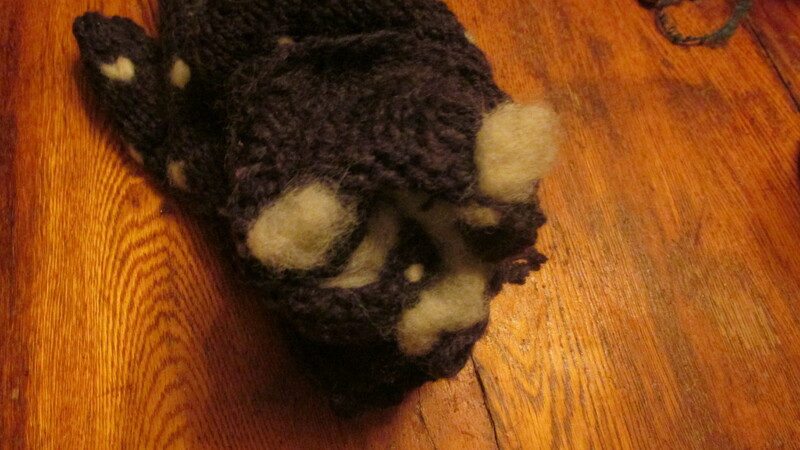 I have include a picture of the inside of one of the pair of mittens I just finished. The fleece is knitted in as a knit stitch. When wearing the mittens moisture felts the fleece and it becomes a second layer of warmth. 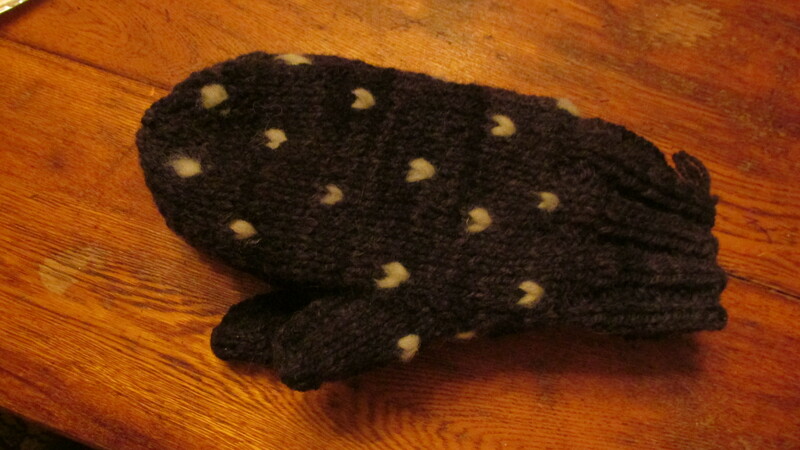 I took a workshop in Ct. on making these mittens many, many years ago and have been making them on and off since. They are a fun project. You can use roving, washed locks, dyed locks etc. Try making a pair, your hands will appreciate it. 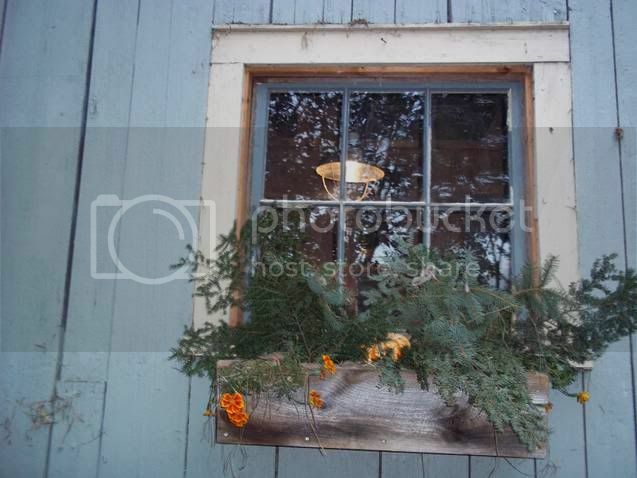 I can’t remember where I heard this but on February 1st you should give your inside plants special attention. Feb 1st is when things change more light etc. My plants are all starting to bloom. 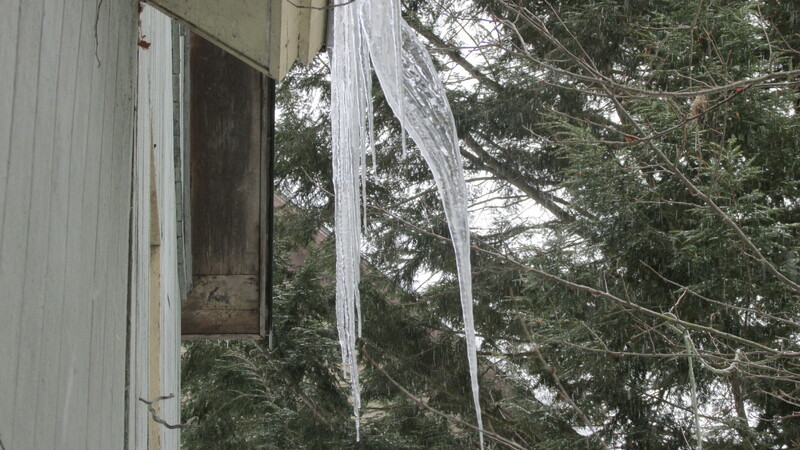 A sign of spring. Carole, those mittens look super-warm! Funny story about your fingers, good thing help was at hand (pun intended!) 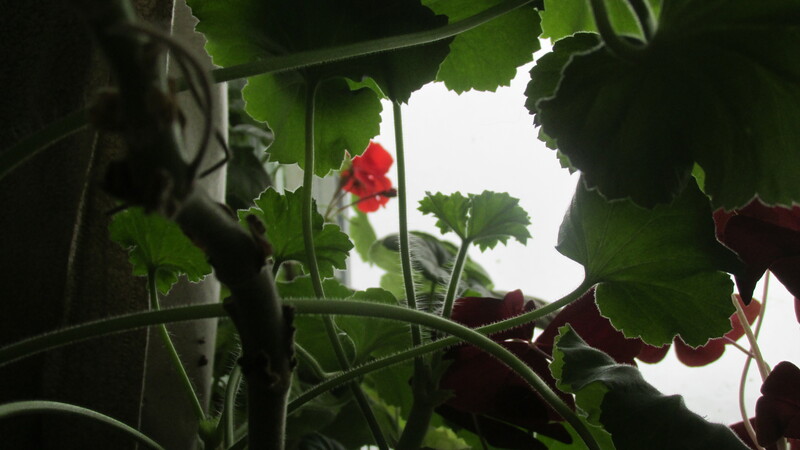 Yes, things are looking up with the houseplants and it is light way past 5 o’clock!